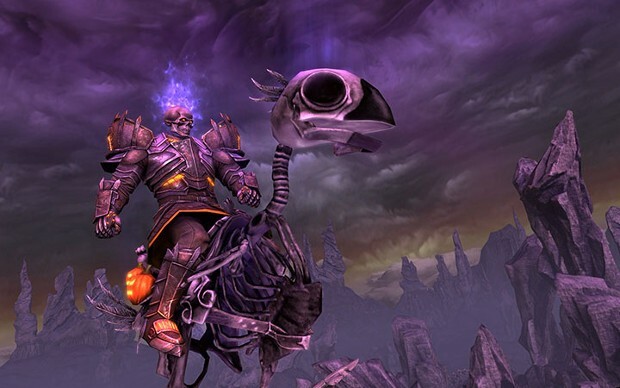 Things are getting creepy in Telara as the Autumn Harvest event returns to RIFT. As of now, players can join in on the spooky fun and access portals to the Realm of the Autumn Harvest. While there, you’ll be able to battle monsters, acquire awesome loot, and spend some time as one of the creepy monsters the season is known for. This year’s Autum Harvest introduces a new skeletal mount: Scrap the Necro Budgie — an undead creature that’s kind of… cute. It also adds a new costume, a new minion chain, creepy new weapons, and a set of wings. RIFT players can log in and begin the holiday festivities today. More information about the Autumn Harvest is available on the game’s site.